Set to run this spring through this charming small town in eastern Pennsylvania — which is sometimes called the “Switzerland of America” thanks to its natural beauty, architecture and mountain location — the Jim Thorpe Area Running Festival also features a mostly flat, forgiving half marathon course that’s perfect for beginners. The point-to-point race is set to take runners from the view at the top of Flagstaff Mountain overlooking the Lehigh River below. You’ll start the race at an elevation of just over 1,360 feet above sea level, from which you’ll drop nearly 500 feet in the first two miles. By the time you reach the 3rd mile marker, the race will have largely flattened out and it’ll stay that way until nearly the end, when in the last mile the race dips downhill again to the finish. 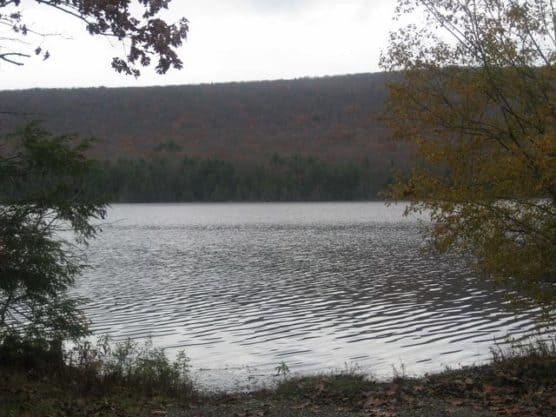 Along the way, you’ll follow stretches along the shoreline of Mauch Chunk Lake — as well as stretches along the Switchback Trail and Orchard Trail — and then you’ll follow the trails into town in the final couple miles of the race. The race will finish in front of the Asa Packer Mansion Museum, which was built back in 1861 and today is part of the Old Mauch Chunk National Historic District. Nestled along the winding Lehigh River in eastern Pennsylvania, about 82 miles north of Philadelphia, Jim Thorpe sees mild to chilly weather in May, as temperatures average between the 45ºF and the 71ºF, while precipitation amounts average just under 5 inches for the month. See the race route map for the Jim Thorpe Area Running Festival here. To reserve your spot in the 2019 running of the Jim Thorpe Area Running Festival half marathon or 5K race, register online at RunSignUp.com here. 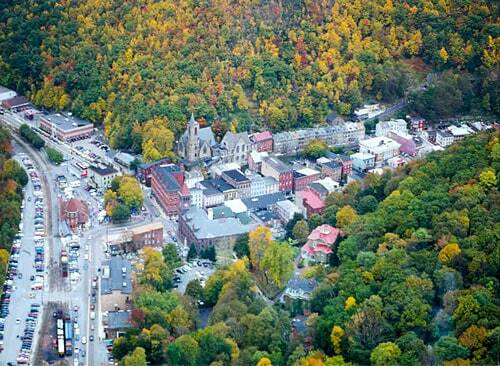 Ever run in the Jim Thorpe Area Running Festival? Share your impressions here, as well as anything you learned about the race that you think other runners/walkers should know.